Khir (rice pudding) with dehydrated kiwi and pistachio. Constructed in layers using agar as a gelling agent. 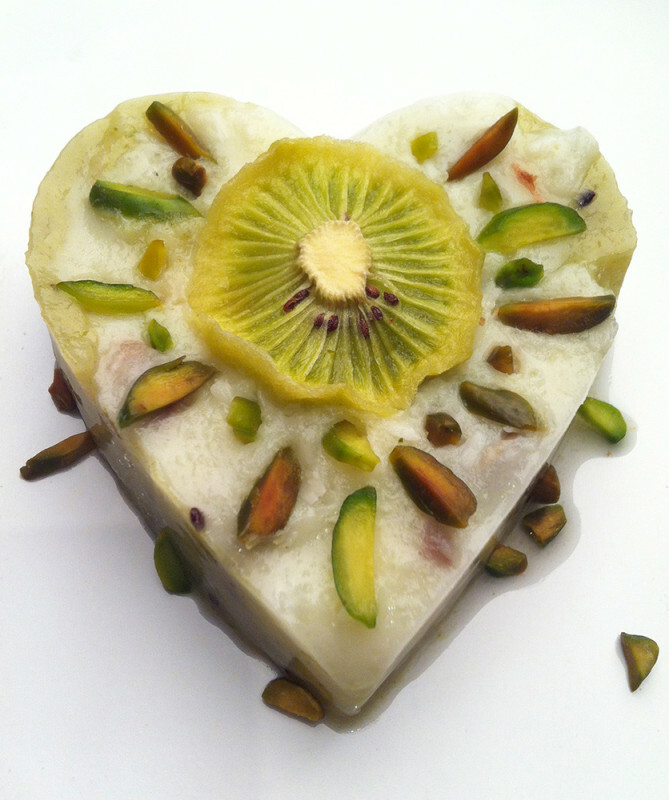 First tangy layer of kiwi and pistachio and top layer with milk and rice rice with a dehydrated kiwi and pistachio.